If you’re self-employed, you will be required to file a tax return which includes your income as well as your expenses. Depending on the type of business you own, you will be able to claim a variety of expenses to reduce your taxes owing. James Walker will help you clarify the types of expenses you may deduct. A real estate agent for example will have different deductible expenses than restaurant owner will. Develop a System: When you have a reliable system in place to record your business transactions you will be able to quickly put your hands on the information you need. When it comes to tax time everything will be organized and you won’t be looking for receipts from 6 months ago. Keep records: It is imperative that self-employed people keep accurate records of their transactions. Keeping track of things like a one time payment, education costs, dues & fees, plus any other expenses that come up. Regularly maintaining your records will allow you to have an organized system for tax time. Car Expenses: Self-employed people regularly use car expenses as a deduction on their taxes. You will need to accurately track your mileage plus keep receipts for gas, repairs and maintenance. Other types of vehicle deductions include insurance, 407 ETR bills, license renewal and even car washes. Click here to download our free Vehicle Expense Schedule to help you organize your expenses. 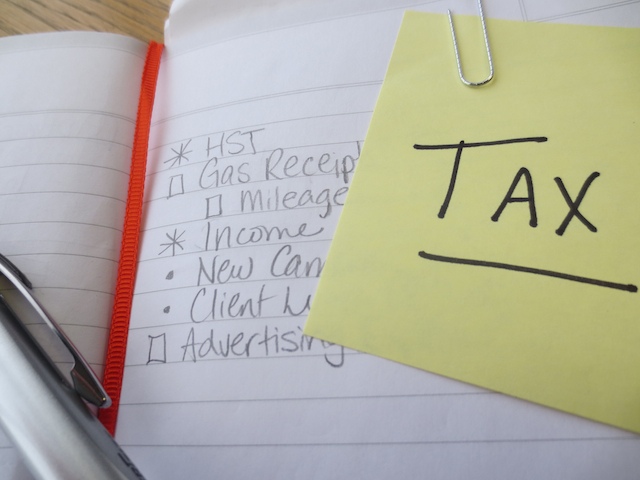 Chartered Accountant in Mississauga James Walker will help you organize your income & expenses and show you where you could use allowable deductions in order to reduce your taxes owing. ‹ Accountant vs Bookkeeper: Which one do you really need?